As one travels across the southern United States, it is not unusual to find monuments and memorials to the Confederate dead in many small towns. In fact, these sculptural pieces, often composed of the same statues and plinths from the Monumental Bronze Co. of Bridgeport, Conn., can be found as far north as Pennsylvania and New York. A study in 2016 found some 1,500 monuments still standing. While in recent years these monuments have become a new source of political conversation their very erection was a movement by Confederate women. In the years following the Civil War, Confederate women's efforts at preservation and memorialization led them to form memorial groups who worked to keep the memory of their local dead alive, through obtaining land for Confederate cemeteries, maintaining far-flung grave sites, and erecting public monuments. Among the earliest postwar female charitable organizations in the south, these groups were also some of the longest lasting. Often composed of upper-class women, these organizations were female-led though they occasionally included male members, who liaised with the community or completed those tasks considered unseemly for women. These groups, which spread across the south, gave Confederate women outlets for mourning and fueled the creation of the “New Southern Woman”. They paved the way for a variety of other women’s organizations through which elite women created roles for themselves in the community and outside their homes’ domestic spaces. These women’s groups were part of a larger social movement which melded the Victorian ideal of the woman as the “Angel in the House” with a need to do something to cope with the large scale grief and death. Groups of middle and upper-class women came together, seeking to memorialize the large numbers of dead in their families and communities as well as their lost cause of the Confederacy. These early efforts came in the same vein as the later romanticism of the plantation most famously seen in “Gone With the Wind” - a book and film which serves, for many individuals in the twentieth and twenty-first centuries, as their main point of reference for what pre-war southern life was like, as well as the southern experience during the war. Like Margaret Mitchell’s later fiction, these public memorials were designed to maintain the social and cultural hierarchy of the old south, in this case by placing visual reminders of white male Confederate veterans and the Confederacy in public places and at high vantage points. These actions epitomize the postwar political climate during which Confederate Veterans and their children dominated the positions of power in local governments and communities, but while those politicians were men in male roles, the monuments represent a trend in women’s work outside the home and their incursion within the traditionally masculine realm of politics. 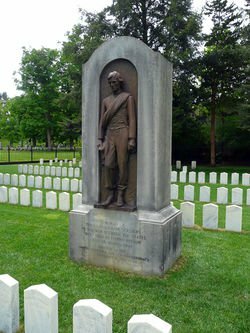 Originally Confederate monuments were kept within the private sphere, such as within local Confederate cemeteries. Here they memorialized individuals or groups of local dead just as did private tombstones. In this way, women retained their association with the family while also using their grief as a political tool. Soon, however, women's organizations moved their memorial efforts onto public land, frequently with the help of public funding. Fundraising for such projects brought women into working relationships with the political and economic elect - contact they had previously only had on a social level. It was these fundraising endeavors that allowed for a greater range of elite women's roles in the years following the war, as they were faced with a world very different from that of the first half of the nineteenth century. The relationships that stemmed from these groups’ publicly-oriented endeavors reflect the changes in the way men and women interacted inside and outside the home. These upper-class white women worked together for a common cause, a theme which would become more and more prevalent across the country towards the end of the nineteenth century. While these were not the close bosom friendships many women of the time experienced, they fulfilled the purpose of creating a larger community outside of the home. In the wake of the loss felt by so many households, these organizations served a crucial role in recreating the larger sense of community among the Southern aristocratic class, whether for good or ill. The monuments erected by the various women’s organizations across the ex-Confederate states and the rates at which they were installed can be viewed as a representation of the political situation in the South. 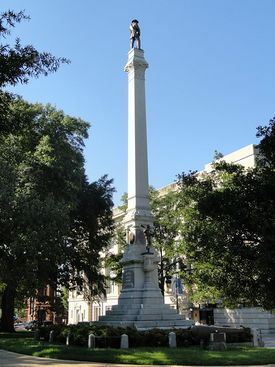 Particularly in the state of North Carolina, the number of the monuments erected allows historians to map out the rise and fall with the certain political shifts, such as when Confederate veterans retake control of the state government or when African-Americans were no longer active within the state government. This diversion of funds fundamentally contradicts the narrative of the federal government and the free community. It is during these periods that there is the most power in white women gathering to crowd the state legislature buildings and use their feminine presence to guilt the politicians into passing funding for their monuments as this is when there is the closest pre-established relationship between the two groups. The manner in which Confederate women's groups lobbied for government funds showed one aspect of their savvy in manipulating images of traditional womanhood. Rather than present themselves in a way which could be perceived as threatening to those men who were in positions to aid their goals, they instead portrayed both their organizations and efforts as in need of male assistance. This is particularly evident in the planning of dedication and memorial ceremonies - where male speakers who were sympathetic with either the local Ladies Memorial Association or the later chapters of the United Daughters of the Confederacy were placed in the front with a backdrop of aesthetically pleasing female figures. These female backdrops were often the relatives of prominent Confederate leaders or community members. This helped to reinforce that their importance and significance to the proceedings came through their association with men rather through their own merits - further allowing the women to continue their mission without causing affront through what would have been perceived as non-feminine pursuits. A further theory for the actions of these groups of women speaks to the connection between women keeping busy and their grief. Some scholars attach the two concepts together beginning at the end of the Civil War and contends that a large part of the activism seen after the war comes simply from that desire to remain busy in an attempt to assuage the overwhelming feelings associated with loss. This business could be seen through handiworks, community organization, or working within the family but is viewed as a reaction to the state of mourning which the nation as a whole fell into following the Civil War. Although the women sought a more public role they did so through tasks they were already completing. The majority of the actions taken on by these groups including fundraising, landscaping, political campaigning, and the hosting of parties all fell within the arena of what was already considered socially appropriate for elite women to complete. Women's groups then in some sense remained traditionally feminine. Their use of feminine handicrafts as part of their efforts points to this conservativeness. One of the primary ways in which they were able to fundraise (other than approaching the state legislature or wealthy local businessman) was through the raffling of quilts and other handmade goods. Women’s organizers shared similar strategies of commingling displays of mourning together with assemblies designed to ignite fervor for the Confederacy. There was a careful political aim behind the types of imagery used both in their physical monuments and in the ceremonies which surrounded them. The scene seen at the North Carolina State Capitol in 1895 shows that imagery to full effect. Confederate widows dressed in black mourning garb created a somber presence lightened only by a young blonde, girl-child dressed in the white of youth and purity. Other ceremonies included groups of thirteen young girls, representing the various states of the Confederacy – who served to reconnect the image of the Confederacy with innocence and youth. In ensuring that they were seen in feminine terms, they were largely able to protect themselves from the backlash of men who felt they had overstepped the bounds of accepted gender roles. In Raleigh, as in many other Southern cities, the LMA was led by a wealthy Confederate widow, a woman whose husband had been a brigadier general before his death early in the war. For her, as for other widows, mothers, sisters, and daughters who had lost their loved ones to the troubles of war, a monument was seen as a way to keep them present both visually and physically after a violent death. This is in part why the monument in Raleigh uses the visual vocabulary of the common man fighting against a common foe – using representations of artillery and cavalry members towards the base but the lowly infantryman atop the spire. This meant that the monument was equally shared by all of the women who participated in accomplishing their common goal of erecting it. For them, the memorial was a location for lost cause pilgrimage. Through their unique triangulation of mourning, memorialization, and the lost cause Confederate women were successful across the reunited nation at changing the narrative of the Civil War. In a highly problematic manner, these women were able to shift the view from the freed African Americans as victims to Southern gentry as victims. By placing the "Old South" as an idyllic culture which had been destroyed by the so-called "Northern Aggression" these women created a climate where racist societal changes met little objection. Beyond the educational works which ensured that history was taught from the perspective of the white planter class the large monuments served to reinforce these ideas by visually placing Confederates above everyone else. Despite the fact that these monuments portrayed those who had lost the conflict they were portrayed as victors on the field of morality, vindicated by accepted history. New monuments have been erected as up through the 2000’s in places like Delaware. and Arizona - areas where there weren’t groups of Confederate women working in the decades immediately following the war. Groups in South Carolina fought for new monuments to be built to commemorate the 150th anniversary of the beginning of the war in 2010 but were refused permits by city governments. This highlights the changing views of the monuments and their place in modern American society, a topic which has been of recent discussion among politicians, the news, and the public. Alongside the battle over the Confederate flag, the conversation over Confederate monuments, particularly in New Orleans has brought the efforts of these long dead women back into the public eye. While in the late 19th and early 20th centuries their efforts were seen as fulfilling a particular domestic role, in the modern eye these same efforts are often seen as clinging to an outdated and dangerous ideology. The prevalence of Confederate monuments throughout the United States, both in those regions which seceded and those which did not is due to the efforts of women's organizations, working within the social confines of the time. Through this effort, these women were able to put forward a version of history which differed from that within the official record but which many today still accept as fact. These organizations also led to other groups which still exist today including the United Daughters of the Confederacy. ↑ Caroline E. Janney, Burying the Dead but Not the Past: Ladies' Memorial Associations and the Lost Cause, (Chapel Hill: University of North Carolina Press, 2008), 6. ↑ Cynthia J. Mills, ed, Monuments to the Lost Cause: Women, Art, and the Landscapes of Southern Memory, (Knoxville: U of Tennessee, 2003), xv. ↑ Catherine W. Bishir,"A Strong Force of Ladies": Women, Politics, and Confederate Memorial Associations in Nineteenth-Century Raleigh." The North Carolina Historical Review 77, no. 4 (October 2000): 455-91. ↑ Anya Jabour, Scarlett's Sisters: Young Women in the Old South, (Chapel Hill: University of North Carolina Press, 2007), 281. ↑ Karen L. Cox, Dixie's daughters the United Daughters of the Confederacy and the preservation of Confederate culture,, (Gainesville, FL: University Press of Florida, 2003), 57. ↑ Janney, Burying the Dead, 108. 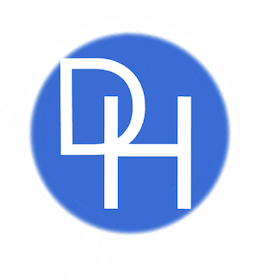 ↑ Benjamin Sutton, "Confederate Monument Watch, a New Genre of Journalism," Hyperallergic, June 30, 2015, http://hyperallergic.com/218473/confederate-monument-watch-a-new-genre-of-journalism/. ↑ Floyd Alvin Galloway, "Push To End Arizona Confederate Memorials," The Arizona Informant, June 30, 2015, http://azinformant.com/push-to-end-arizona-confederate-memorials/.